The tenth anniversary of the Iraq war has seen the repetition of many excuses for the invasion. One of the commonest is that UN sanctions on Iraq killed millions of Iraqi civilians, with the pretence that sanctions which killed millions of Iraqis through shortages of food and medicines couldn’t be lifted or else Saddam’s regime would become a serious threat. 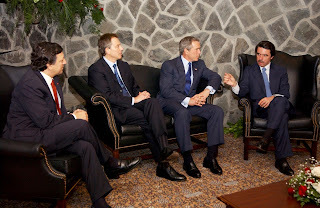 Another is that it was necessary to end Saddam's genocides and massacres. These are lies; the US could have stopped Saddam's genocides and massacres but either kept supporting him (while he committed genocide against the Kurds) or did nothing (while he massacred Shia and Marsh Arabs); and sanctions could have been lifted at any time ; here’s why. Saddam couldn’t even defeat Iran in the 8 year Iran-Iraq War in the 1980s; and that was with almost the entire world’s governments supporting him with arms, funding, intelligence and political support. 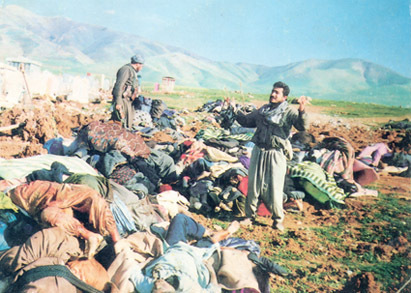 This included as Saddam used chemical weapons on Iranians and in his genocidal Anfal campaign against the Kurds, even after Halabja (see post on this link for sources and more details). Saddam showed during the 1991 war that he didn’t dare to use chemical weapons on other countries or the Iraqi Kurds after 1991. He had chemical warheads for his scud missiles, but only used conventional warheads (5). He could only massacre Shia rebels and their families in Southern Iraq (including Marsh Arabs) at the end of the 1991 war because Bush senior ordered his troops not to intervene ; a massacre that would never have happened if Bush hadn’t given Iraqis the false impression that his forces would aid them if they rebelled (he actually wanted a military regime to replace Saddam) (for details and sources see this post). Saddam did carry out one horrific campaign of torture, massacres and genocide against Iraqis after 1991; against the Marsh Arabs and other Shia rebels and their families who fled to the southern marshes in 1991 (6). However US and British aircraft patrolling the Southern No-Fly Zone could have stopped most of this by bombing Saddam’s artillery, trucks, tanks and bulldozers; but made no attempt to do so, probably for the same reason Bush senior didn’t help the other Shia rebels ; the Marsh Arabs are also mostly Shia and so they were seen as potential allies of Iran (7). Throughout the 1990s Saddam’s forces shelled Marsh Arab villages and towns with tanks, artillery and mortars, including chemical weapons according to some reports, drained the marshes by diverting rivers, killed many rebels, bulldozed houses, left many civilians to die in deserts; and forcibly relocated most of those who didn’t leave to live elsewhere in Iraq, or weren’t among the unknown number who were killed (one estimate being 120,000), or the estimated 40,000 to 120,000 who fled to Iran (8) – (11). By comparison dozens of Coalition offensives on Iraqi cities during the occupation killed hundreds of civilians in each assault – e.g 600 in the April 2004 assault on Falluja alone (12). Coalition offensives, Saddam’s earlier campaigns and sectarian fighting had left 2.8 million Iraqis “internally displaced people” (homeless refugees inside Iraq) and 2.2 million refugees in other countries at the highest point (during the occupation in the late 2000s). Today an estimated 1.3 million Iraqis remain “internally displaced” and 1.4 million are refugees in other countries While some have returned home , unfortunately other reasons for the reduced numbers include Iraqi refugees who fled to Syria deciding it’s even more dangerous there (13) – (15). By the end of the 1990s Saddam’s campaign of genocide against the Marsh Arabs was complete. All but an estimated 20,000 Marsh Arabs were gone from the area they had lived in, compared to an estimated 250,000 to 500,000 in 1991, the last major rebellion being crushed in 1998. Only 1,600 still lived in their traditional reed houses on floating platforms in the marshes (16) – (18). That’s why Kenneth Roth of Human Rights Watch concluded in 2004 that the 2003 invasion of Iraq “was not a humanitarian intervention” as no massacres or genocide were being planned or carried out by Saddam’s forces (19). He could have added that none had been carried out or planned for over a decade. Any war was now bound to kill far, far more Iraqis than Saddam was killing. That’s before we even get into the constant firing on civilians and ambulances in many US offensives on Iraqi cities during the occupation which led western aid workers and Iraqi doctors and civilians to conclude they were being deliberately targeted – e.g Fallujah in April 2004 and in Samarra in October 2004 ; or the US trained Iraqi paramilitary torture and death squads, of which more in my next post (20) – (21). 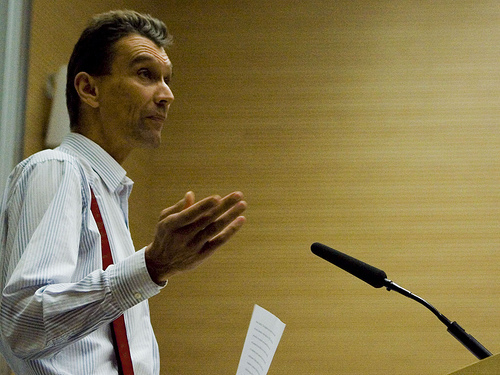 Dennis Halliday and Hans Von Sponeck, two successive heads of the sanctions programme who resigned in protest over it, said it was not Saddam's regime causing the starvation and shortage of medicines under sanctions, but that the sanctions imposed a limit on oil sales too low to support Iraq’s population ; both opposed the war (23) – (25). The UN sanctions on Iraq had been demanded by the US and British governments at the end of the 1991 war – a war which began with an invasion of Kuwait which resulted largely from US and Kuwaiti co-operation to put economic pressure on Iraq by slant-drilling across the border into Iraq, by Kuwait exceeding it’s agreed OPEC quotas for oil sales and by it demanding immediate repayment of loans made to Iraq during the Iran-Iraq war (see this post for sources and details). We’ve already shown that their reason for not wanting them lifted was not that this would end Saddam’s “containment” and allow him to conquer the Middle East or massacre Iraqi rebels again. The real reasons were avoiding loss of face; and ensuring US and British firms got oil contracts on favourable terms. The US had punished Saddam in 1991 and put him on their enemies list. If his regime now survived, the US would look weak and this would encourage other governments to defy it. Even worse, after the 1991 war Saddam had negotiated oil contracts with Russian, French and Chinese oil companies. If sanctions were lifted and Saddam survived in power they would get the oil contracts, with US and British firms excluded. 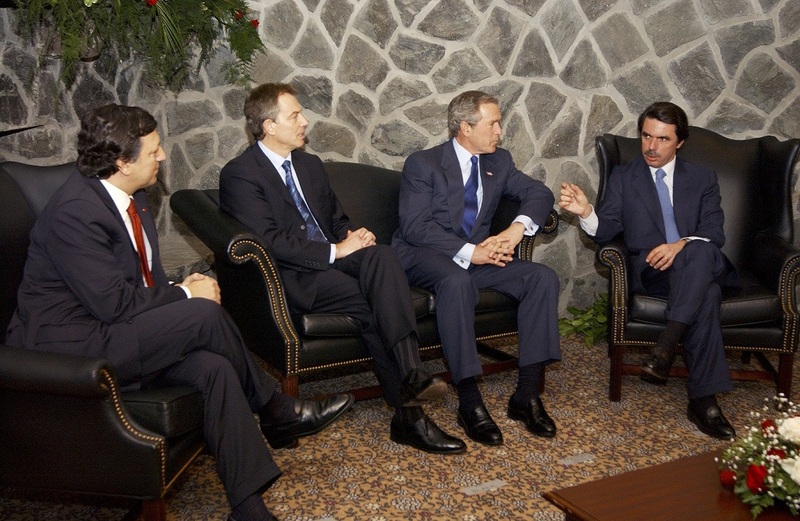 As the Washington Post reported on the 15th of September 2002 ‘A U.S.-led ouster of Iraqi President Saddam Hussein could open a bonanza for American oil companies long banished from Iraq, scuttling oil deals between Baghdad and Russia, France and other countries, and reshuffling world petroleum markets, according to industry officials and leaders of the Iraqi opposition...."It's pretty straightforward," said former CIA director R. James Woolsey, who has been one of the leading advocates of forcing Hussein from power. "France and Russia have oil companies and interests in Iraq. They should be told that if they are of assistance in moving Iraq toward decent government, we'll do the best we can to ensure that the new government and American companies work closely with them." But he added: "If they throw in their lot with Saddam, it will be difficult to the point of impossible to persuade the new Iraqi government to work with them. "’ (26). The US however failed to get the Oil Law it wanted the Iraqi parliament to pass during the occupation (it’s main reason for it’s war with the Shia Iraqi nationalist Al Sadr, whose Shia Sadrist MPs joined Sunni parties’ MPs in opposing the oil law;) and as a result failed to get contracts on the terms it wanted for most US oil companies (27). Anglo-American oil giant BP has managed to get a very lucrative contract for one giant Iraqi oil field on terms extremely favourable to it ; and is seeking others in Iraqi Kurdistan which is in disputes with the central government in Baghdad over the regional government negotiating oil contracts rather than the central government ; and over how favourable the terms of contracts are to oil companies (28) – (31). BP took over the US oil firm Amoco (formerly Standard Oil of Indiana and one of the ‘Seven Sisters’ oil giants) in 2001. Oil and arms company profits and global power were the US aims in Iraq, not protecting Iraqis or promoting democracy – as I’ll show in my next post on how US and Coalition forces and the new Iraqi government still torture and kill Iraqis using all Saddam’s methods short of actual genocide. This is just a short post to recommend the Politicus website. It’s a blogging and news website on UK politics which I found out about and joined recently. Excellent for news and a wide range of political opinions from all kinds of viewpoints ; and you can remove any news or blog source you don’t want to read from your newsfeed on it. You can join here if you like the sound of it ; and if you’re a blogger then after joining you can also apply to add your blog to the newsfeed on the site if you want to. ‘Foreign Affairs select committee inquiry, 2003. Intelligence and Security Committee inquiry, 2003. Yet not one of these supposedly “independent” inquiries was actually independent at all – they were all headed by appointees of Blair or had a majority of members appointed by Blair’s government. The heads of the Hutton and Butler inquiries were appointed by Blair, who also decided what powers they would have, what their remit would be (i.e what they could as about) and what evidence they could and could not see. Not surprising then, since the accused got to appoint the judges, decide the charges and limit what evidence they could see, that the accused was found not guilty on all charges. If all trials were conducted that way, no one would ever be found guilty of anything no matter how much evidence there was of their guilt. Parliamentary Select Committees like the Foreign Affairs and intelligence and Security Committees have MPs as members, in proportion to the number of MPs of that party in parliament. As Labour had a big majority after the 2000 General Election, that would mean that in 2003 the majority of MPs on those committees would be Labour – and so not inclined to criticise their own party leader too much. On top of that, in 2003 Select Committee members were still appointed by party leaders – so all the Labour members of those committees were appointed by Blair, so would not be rebels on Iraq. Most other MPs on those committees would be Conservatives – and the vast majority of Conservative MPs voted for the war. So the idea that these were independent inquiries is utterly ridiculous. Citing the 2005 General election is particularly ludicrous, as an election is not an inquiry into anything ; and as no British general election in the last century has been decided by any foreign policy issue. Many people who voted Labour in 2005 were completely against the Iraq war and thought Blair had lied about it, but voted Labour as they thought Labour were less bad than the Conservatives on domestic policies. It seems that the Independent newspaper’s politics editor doesn’t know the difference between independent inquiries and political fixes – at least certainly not where his hero Tony Blair is concerned. There is a magic money tree for governments with their own currency - and Cameron has already used it in quantitative easing for the banks - so why not for things that benefit everyone? Prime Minister David Cameron is completely wrong when he says there is “no magic money tree” – there is for any government that has it’s own currency which it can issue in any quantity it likes; and for private banks which can create money – but only create it as debt. Cameron’s government, like the last government, has used it’s “magic money tree” repeatedly in “quantitative easing” to pad the banks’ reserves. There is no reason he can’t use it to create money for more worthwhile causes that benefit everyone. 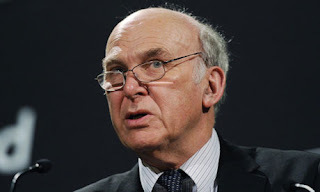 Vince Cable is right that we need stimulus spending, but why should we borrow it from banks and hedge funds, increasing our debts, when the government can print it or issue it digitally instead? It’s created out of thin air either way. The financial crisis was the result of most money being created as debt - loans and mortgages - by the banks, combined with deregulation, as Australian economics professor Steve Keen points out (1). The government should print money and spend it on green energy research, investment in infrastructure (transport, education etc), plus grants and zero or low interest loans to small and medium sized businesses. If that creates a little inflation, that's not so bad, as devaluation of the pound will also reduce the size of our debts denominated in pounds. Some will immediately cry hyperinflation, but in actual cases of hyperinflation, like Weimar Germany or Zimbabwe, the causes were French military occupation and control of the steel and coal output of the Rhur valley, and international sanctions, respectively, combined with political crises, not printing money (3). The bank executives and hedge fund managers would like people to believe otherwise because they profit from other peoples’ debts and don’t want those debts shrunk by moderate inflation. If the government won’t do that we still have one other option – set up lots of small local or regional savings and loans companies like the “Bank of Dave” (Burnley savings and loans) set up by businessman Dave Fishwick (4) – (5). This also has implications for the debate on whether Scotland should become independent. One potential advantage of independence would be that Scotland could print it’s own currency and spend it how it chose whatever the City of London financial sector said.